You’ve established the basics for your retail kiosk – where it will be located, the general size, and the overall shape. Now it’s time to choose the elements that will transform that space into a business and brand that are uniquely yours. Retail kiosk displays enable you to design a kiosk that attracts maximum attention from every direction. They show off your merchandise so it piques interest from afar and is easy to examine up close. Incorporating retail kiosk displays into your merchandising is particularly effective if you sell jewelry, unpackaged edibles, electronics, collectibles, or similar small or higher-priced items. Enclosed cases keep items secure and protect them from dust and fingerprints. No matter how popular the items you carry, though, you will sell more if you fill your cases with thoughtfully presented displays. Traditional stores have departments or merchandise sections that are easily identified by the layout of store fixtures. Your kiosk has the same visual merchandising needs – making it easy for shoppers to see what they need or want – but you have far less space in which to perfect your look. What can you do with retail kiosk displays? Anything you can imagine, really. They can take almost any form. In this example, three different types of glass display cases are combined to accommodate different types and sizes of items. Mixing it up like this adds eye-appeal to your entire mini-store. Retail kiosk displays can be constructed of any material or finish that complements the overall look of your kiosk. You can use traditional rectangular counters with full-, half-, or quarter-display areas, or you can create rounded or angled shapes, even wall-mounted cases. You can use smaller boxes, domes, bowls, and jars to hold tiny items. When you use retail kiosk displays as modules, or – better yet – fully customize your design, you can create a unique configuration. It’s important to create a 360o “sales in the round” presence, but you can also encourage customers to actually enter your kiosk. 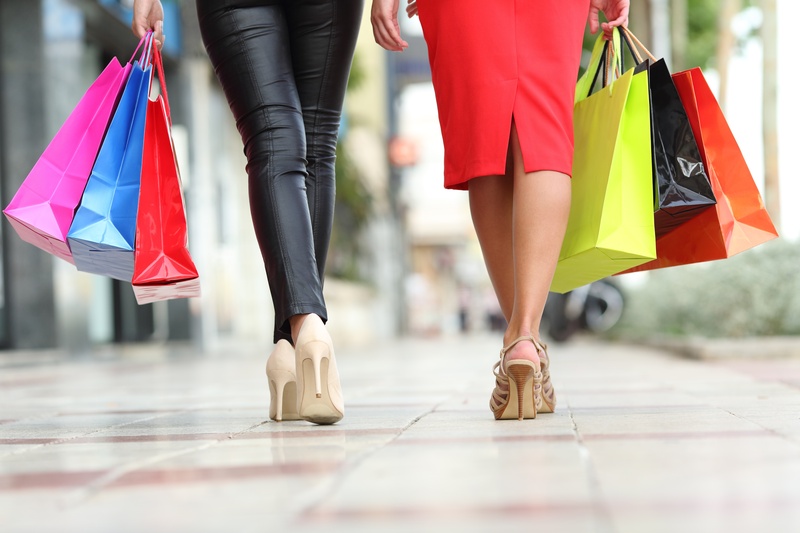 Stepping inside allows further engagement and separates shoppers from the passing mall frenzy, so they can concentrate better on your products or sales person. In fact, overhead, side, up-lighting, and backlighting all enhance items within retail kiosk displays. Keep that in mind as you decide how to use these cases in your kiosk design and merchandising. The most effective kiosk is one that sells from every angle. Signage is key, of course, as is the use of color to draw the eye in a visually busy setting such as a mall. From a distance, your kiosk functions as a single large showcase. But as shoppers draw near, retail kiosk displays help them zero in on the things that interest them most.